Zinedine Zidane has banished some of the negativity surrounding Real Madrid, according to midfielder Dani Ceballos. 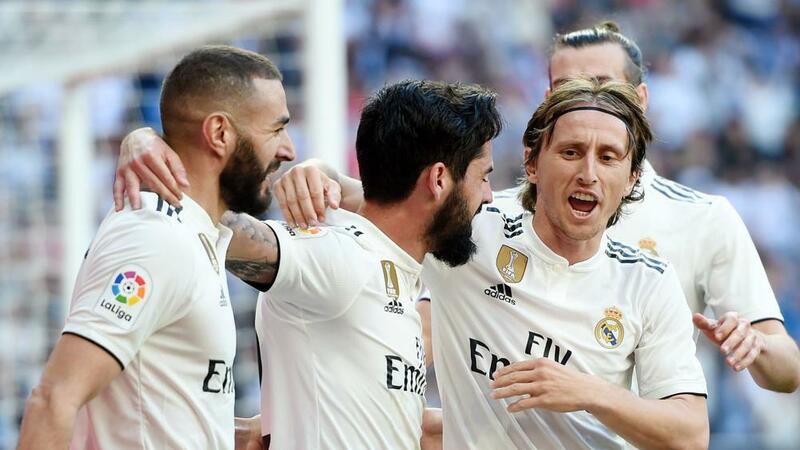 Madrid swatted aside Celta Vigo 2-0 in Zidane's first game back as head coach since replacing Santiago Solari this week, with recalled duo Isco and Gareth Bale scoring second-half goals. Ceballos was introduced as a substitute for Isco moments after his 62nd-minute opener and suggested the decision to dispense with Solari had been instantly vindicated. "The change of manager seems to have worked," he said. "The team felt much more positive today. The most important thing was the three points. "Above all, what we have to do is achieve our objective, which is to finish as high up the table as we can." Bale was often a substitute under Zidane towards the end of last season and skirted a tight disciplinary line during Saturday's encounter before sealing the points. "They are two key players for us. What they do is important, but so are the other 25 players," Ceballos said. "That's what the manager decides. We have to respect his decisions and we'll keep playing for him until the end of the season." When Julen Lopetegui replaced Zidane for this season, Ceballos' first-team opportunities increased. Nevertheless, he was pleased to have his boss' backing from the bench. "He's given me confidence from the first minute, he made me the first change and I felt very comfortable out there, I must say," he added.